March 21- Fräulein Kimchi’s next Fusion Cooking Class | Fräulein Kimchi kocht! Howdy Berliners- My next cooking class at Goldhahn and Sampson will be March 21. Featuring Fräulein Kimchi’s (soon to be famous 😉 Korean tacos- Berlin style. Fusion cooking is my favorite way to teach and eat, and I’ve lived in some amazing foodies cities that have influenced my palate in delicious ways. 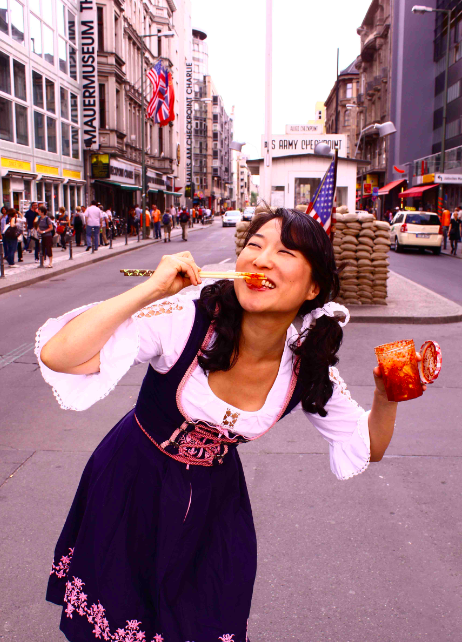 and sign up to my Facebook Page to get invited to all Fräulein Kimchi kocht events. ah, so the korean taco lesson hasn’t happened yet. let me know how it goes! also, these pics are so fricking cute i want to SQUISH YOU!